Google said it will ban cryptocurrency-related ads, the IMF called for global regulation and members of Congress slammed them at a hearing Wednesday. The penny dropped for cryptocurrencies like Bitcoin on Wednesday as prices plummeted on bad news from Google, international regulators and Congress. Major cryptocurrencies fell by double-digit percentages on legitimate markets Wednesday after a triple whammy of adverse developments: Google announced that it will ban cryptocurrency-related ads, the International Monetary Fund called for a worldwide regulatory crackdown on cryptocurrencies, and members of Congress clobbered them at a hearing on Wednesday. Bitcoin dropped by more than 16 percent in 24 hours on the Luxembourg-based Bitstamp exchange, falling from $9,346 to $7,831 on Wednesday night. Litecoin, another popular cryptocurrency, lost 13 percent, settling at $155, and Ethereum plunged by more than 17 percent, to $582. Cryptocurrencies are money in digital form that investors buy and sell on unregulated, mostly decentralized markets. They're tracked on blockchains — multiple copies of digital ledgers that are preserved on networks of computers and servers distributed around the world. The value of a cryptocurrency isn't confirmed by third parties, like governments, the way the U.S. Treasury guarantees the value of the dollar. Its value is recorded and verified at the time you buy or sell it on those blockchain ledgers, which are open for anyone to review. Without government regulation, cryptocurrencies can fluctuate massively from day to day, and the digital mechanisms behind them are regularly hacked by cybercriminals. They're particularly vulnerable to manipulation by fraudulent advertising and scam artists, which has put pressure on companies like Facebook and Google to take action. Facebook went first, in January, when it banned "ads that promote financial products and services that are frequently associated with misleading or deceptive promotional practices," like initial coin offerings and cryptocurrency. Tuesday, Google followed suit, saying it would also ban cryptocurrency-related ad content beginning in June. 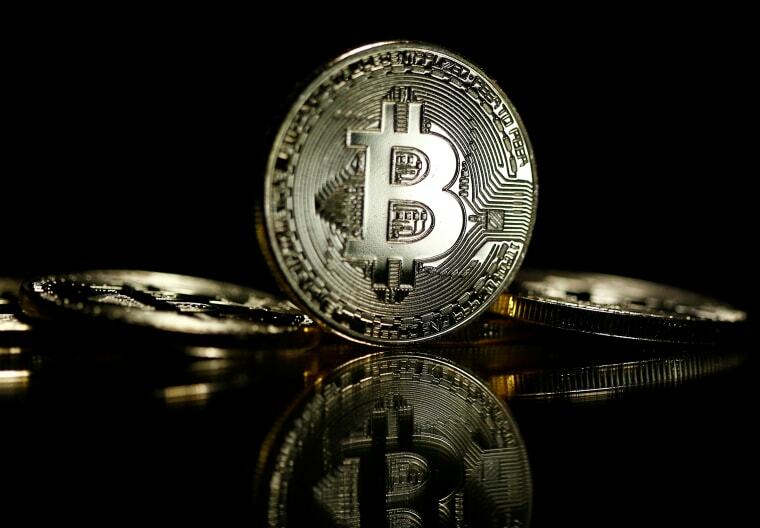 "We don't have a crystal ball to know where the future is going to go with cryptocurrencies, but we've seen enough consumer harm or potential for consumer harm that it's an area that we want to approach with extreme caution," Scott Spencer, the company's director of sustainable ads, told CNBC. Google's news landed as the International Monetary Fund, or IMF — in a paper ominously titled "Addressing the Dark Side of the Crypto World" — called on governments to impose "regulatory technology and supervisory technology" to "help shut criminals out of the crypto world." What is Bitcoin? And should you invest in it? "The same reason crypto-assets — or what some people call crypto-currencies — are so appealing is also what makes them dangerous," the agency wrote, citing the decentralization of networks that allow traders to remain anonymous. "The result is a potentially major new vehicle for money laundering and the financing of terrorism," it said. And correcting the problems will "require close international cooperation" under a "global" framework — words that are poison to many cryptocurrency investors. Then, on Wednesday, Congress got into the act. At a hearing of the House Financial Services subcommittee on markets and securities, members and witnesses colorfully expressed deep skepticism. Rep. Bill Huizenga, R-Mich., the subcommittee's chairman, derided what he called the "crypto craze," promising: "This panel, this Congress is not going to sit by idly with a lack of protection for investors." Rep. Brad Sherman, D-Calif., was even more blunt, declaring: "Cryptocurrencies are a crock." "They allow a few dozen men in my district to sit in their pajamas all day and tell their wives they're going to be millionaires," he said. Comments like that are indicative of the haziness of many people's grasp of cryptocurrencies. Some experts have endorsed John Oliver's explanation Sunday night on "Last Week Tonight." Warning: Oliver uses equally colorful language, but of a different, not-safe-for-work variety.